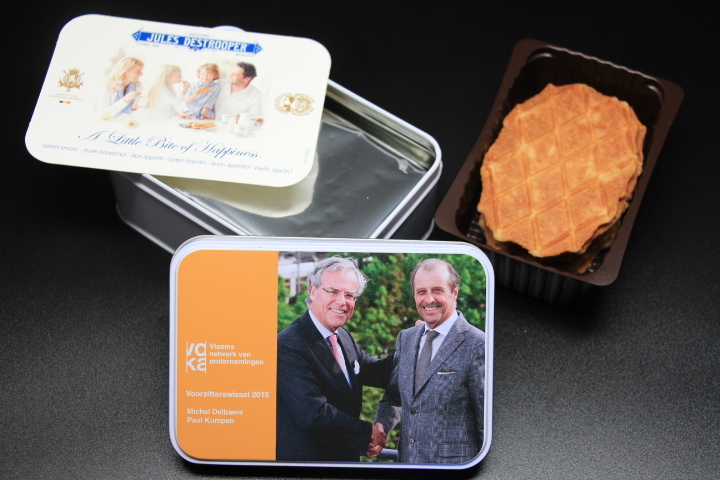 Jules Destrooper Jules Destrooper belgian biscuits personnalised tins gifts are delicious belgian biscuit. It has several flavours in his assortment. 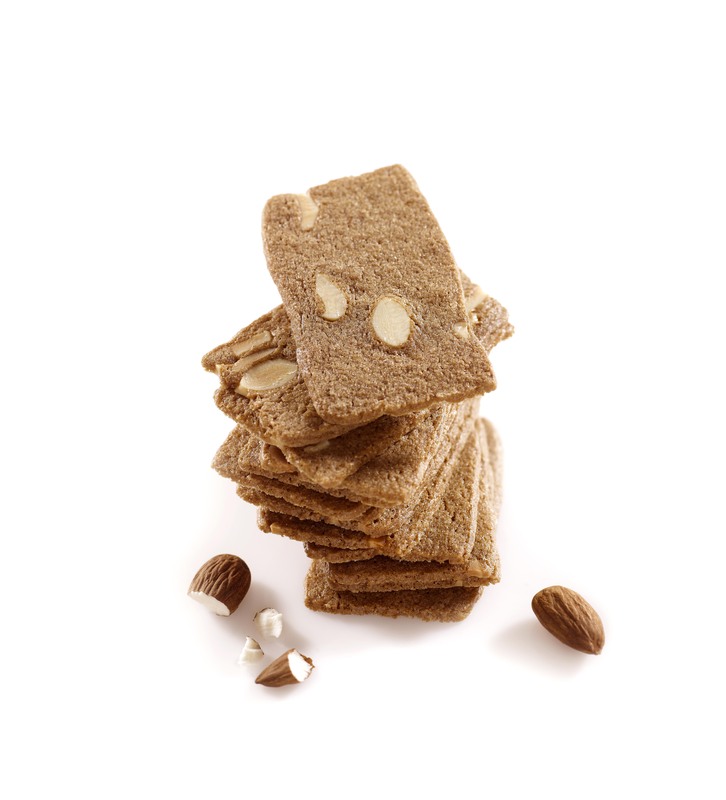 You can chose between almond thins or buttercrisps. 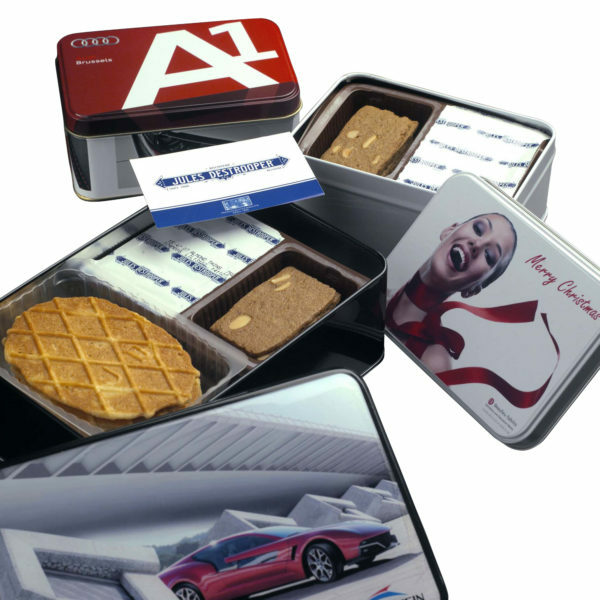 Belgosweet presents in a beautiful personnalised tin with your name or logo on it. 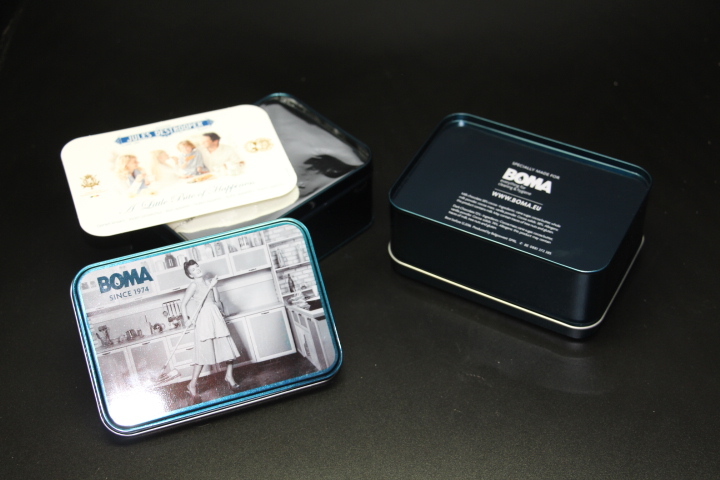 This is the perfect gift for christmas and special events. 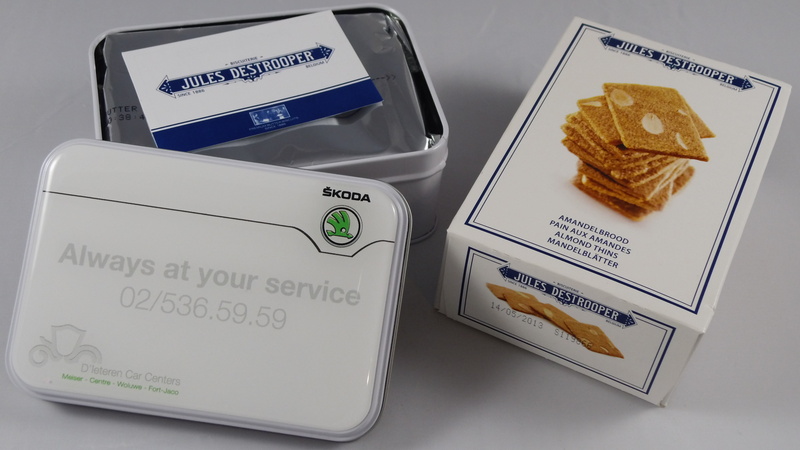 By the way we have two tins available for the Jules Destrooper biscuits. We have two sizes of boxes. 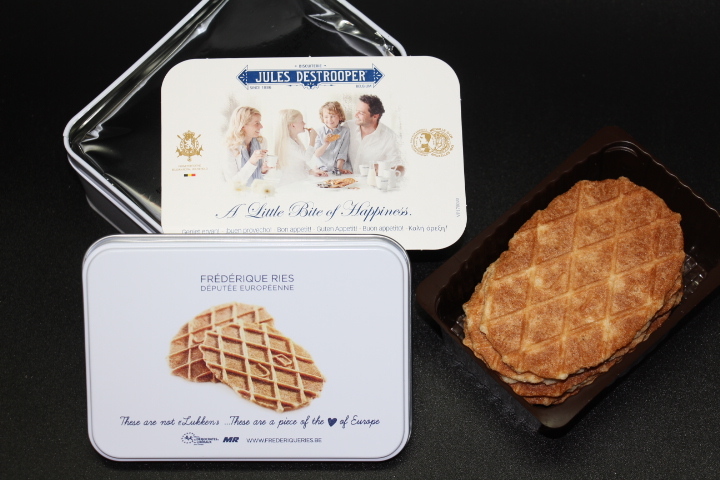 On one hand our white small are tin filled with 75 gr Jules Destrooper ( 135 mm x 95 mm x 56 mm H ). On another hand the big white tin filled with 2 x 75 gr Jules Destrooper ( 195 x 130 x 60 mm H ). 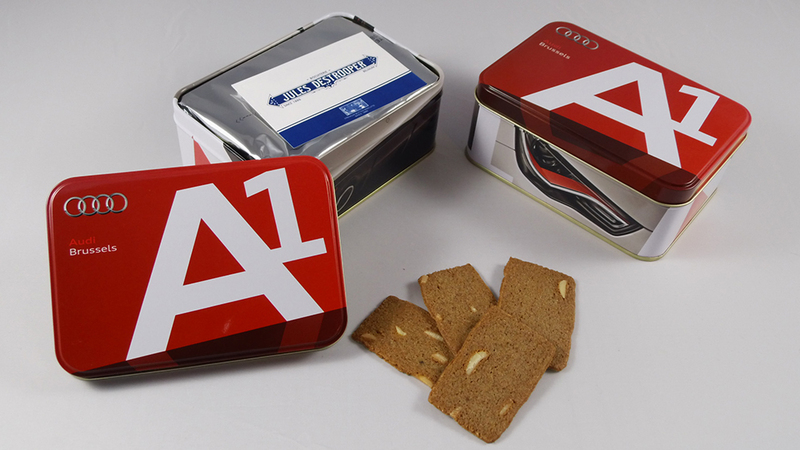 For smaller events or for the fairs we advice you the small carton boxe of (104 x 60 x 25 mm H). Generaly, we can deliver in approximatif 20 working days if sorter dead line, please mention it. 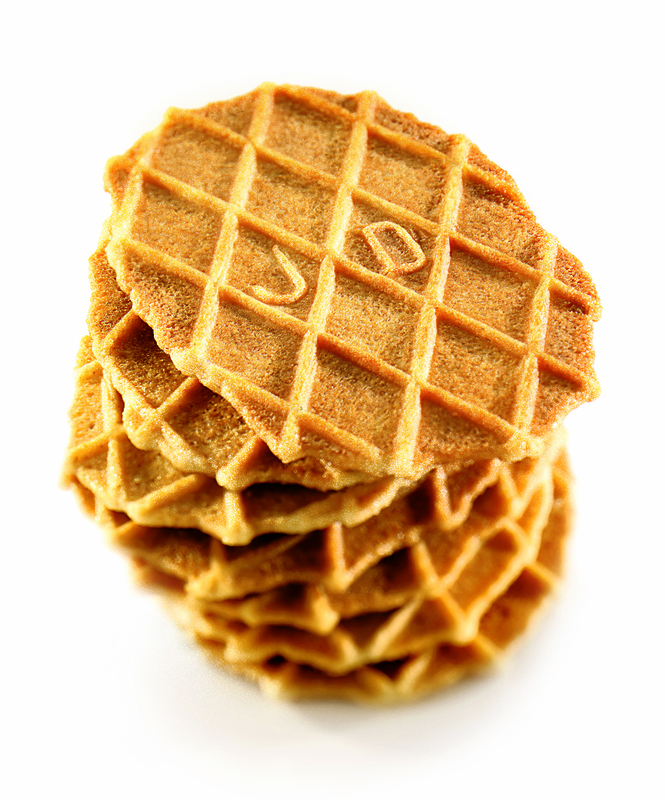 Besides the Jules Destrooper biscuits have a shelf life of 9 months according to stock.